Posted on December 8, 2010 by Jill B. Movie rental companies have been vying for the souls and wallets of customers in a competition over convenience and media format. Now, a new player is ready to enter the race with the potential to one day edge out Redbox or Netflix. The company, Flix On Stix, comes into the market at a great time when rental stores like Blockbuster are phasing out while kiosk rental and movie mailing are on the rise. Flix On Stix sets itself apart by allowing customers to load movies on their personal SD cards or USB flash drives at a kiosk location. The company takes advantage of the perks of flash technology. With Netflix and Redbox you have to go out of your way to return the disc to the nearest USPS mailbox or rental kiosk. Instead, your movie will automatically expire on your memory stick once your designated rental period is up, which leaves one less item on your daily to-do list. How does Flix On Stix work? At any rental location, bring your own USB drive and browse movies by title, genre or actor. The kiosk will also allow you to watch film trailers too. Select the movie you want and if it’s your first time using it, you’ll have to create an account with a credit card, phone number and other information. You’ll enter a password that you’ll use to access subsequent rentals. From there, you’ll insert your USB flash drive or SD card into the kiosk’s slot. You can use either USB 3.0 or USB 2.0. Flix on Stix will also ask you for the computer operating system you will be using to format the correct file extension. To view a Flix On Stix video, you will need at least a Windows 98, Pentium 3-700 MHz processor or Mac OSX. While the concept of flash drive movie rentals surfaces at a time of increasing concern over the security of the devices, Flix On Stix has taken measures to safeguard its very public locations against threats of malware. The company’s encryption efforts help the studios by eliminating opportunities for piracy as well as denying the operation of your drive’s hacking tools while the video is being used or transferred. Movie studios will be able to upload new releases remotely to the kiosks as opposed to dealing with discs and distribution. Anyone who wants to rent their movie of choice, can. Since it’s a digital transfer, there’s no worry for a race to snag the last copy. Flix On Stix also combats issues like scratched DVDs, which can plague nearly every customer at some point. There is also the possibility that the rental locations will sell USB thumb drives as well. 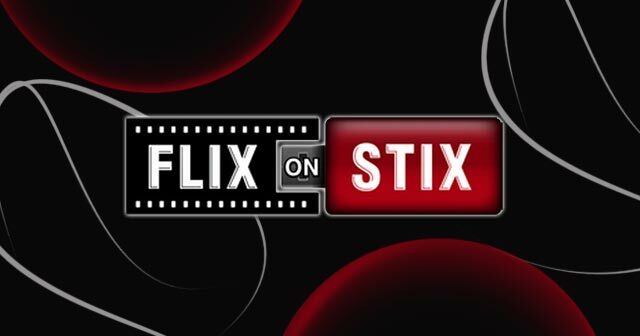 As much potential and excitement this concept brings, Flix on Stix also poses some drawbacks. Depending on each user’s flash drive specs, how long will a data transfer take, especially for a full length HD movie? Customers already have to wait in line long enough due to the indecisive customer ahead of them waiting to settle on which title to rent. Additionally, how will average person know or understand if his or her flash drive (that may also include other data) has the gigabyte capacity to handle the rental? Questions also remain on how the compatibility of the playback will work along with the expiration feature. If the company can smooth out all of the logistics and make users understand their limitations and compatibility for playback, Flix On Stix may just become rental’s next big thing. Expect the first round of kiosks to pop up within the next few months with plans to expand to thousands of locations nationwide. Rates will vary between $1 to $4 depending on the length of the rental. How do you feel about this new service? What’s your excitement or hesitation in using it? This entry was posted in Articles, Flash Drive, Flash Memory Future, SuperSpeed USB 3.0, USB 3.0, USB Flash Drives, USB Future and tagged flash drive movie rentals, Flix On Stix, movies on flash memory cards, movies on SD cards, movies on USB flash drives, Rent Movies on USB Flash Drive, USB thumb drives. Bookmark the permalink.